View of Cadillac Mountain and Pemetic Mountain from Sargent. View of Jordan Pond from the Jordan East Cliffs Trail. This loop across the peaks of two of the highest peaks on Mount Desert Island provides unobstructed views along the ridge and a wonderful hike along the iconic Jordan Pond. About 1.5 miles from the start of the Spring Trail to the Peak of Penobscot. Another mile to Sargent and then 1 mile down to Jordan Pond. Then 1.5 miles back to the Jordan Pond House. The climb up the Spring Trail is steep and should be avoided for descents and on wet days. The climb off of Sargent is also steep and caution should be exercised. You will want to take your time along the ridge and narrow trails by Jordan Pond can make it difficult to pass slower moving groups. $25 for a week pass for non-commercial vehicles. $50 for a season pass. Located along the iconic Jordan Pond in Acadia National Park, Penobscot Mountain and Sargent Mountain provide and open ridge and panoramic views of Mount Desert Island. But make no mistake, the key to making this hike great is to arrive at the Jordan Pond House before everyone else does, which means before 10 a.m. Otherwise, the parking will be overflowing and it will be extremely difficult to find a spot. The views from these peaks are well worth the extra effort. Your hike will start with the Spring Trail from the Jordan Pond House, which climbs steeply to a beautiful ridge. You will pass the intersection for the Jordan Cliffs Trail, which is often closed in the summer months due to nesting peregrine falcons. 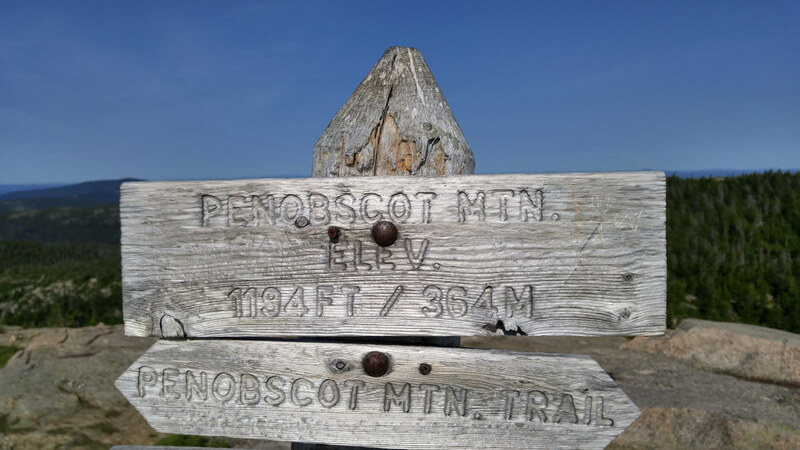 After about a half mile from your start, you will reach the Penobscot Mountain Trail, which you will follow for another mile before reaching the peak. Keep left and descend the back of Penobscot to reach Sargent Mountain Pond and the Sargent South Ridge Trail, which you will follow for about a mile to the top of Sargent. 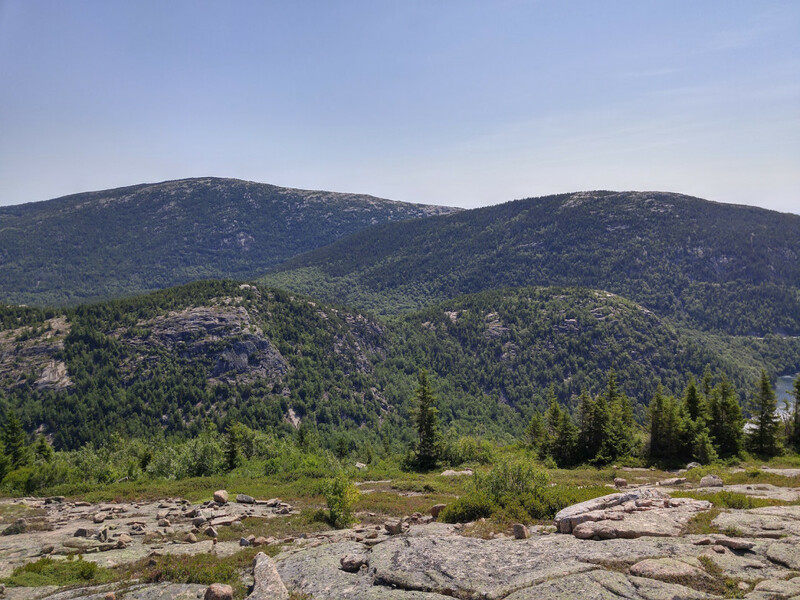 For the return to Jordan Pond House, take the Sargent East Cliffs Trail .7 miles down to an intersection with the Deer Brook Trail and the East Trail. Turn left, towards Jordan Pond, and hike the 1.5 miles along the eastern shore towards the Jordan Pond House. The loop will be about 5 miles long. What makes this loop hike great is the view from the ridge as you hike. Once you reach the ridge, you will have unobstructed views For over a mile as you hike to the peak of Penobscot Mountain and then over to Sargent Mountain. The only interruption to these views will be as you hike down between the peaks to the small pond that lies in their shadows. As with most of the peaks in Acadia National Park, you will find wild Maine blueberries along your route here. There are many spots to stop along your way in late summer that put you close to a full blueberry bush and a near perfect view of the island. As you hike down off of Sargent, you will reach Jordan Pond and hike along the eastern shore. You will have a wonderful view of the iconic Bubbles and the clear water of Jordan Pond. Swimming in the pond is not allowed and can result in a hefty fine. Avid hikers looking for a good hike without the crowds will appreciate the loop across Penobscot and Sargent as long as an early enough start is made. You will most likely run into a lot of families along Jordan Pond on your way back to the Jordan Pond House. But the views of the entire island should not be missed. From Portland, the drive to Acadia National Park takes about three hours. It is up to you whether you prefer to take the faster route up 295 or the more scenic drive up Route 1. 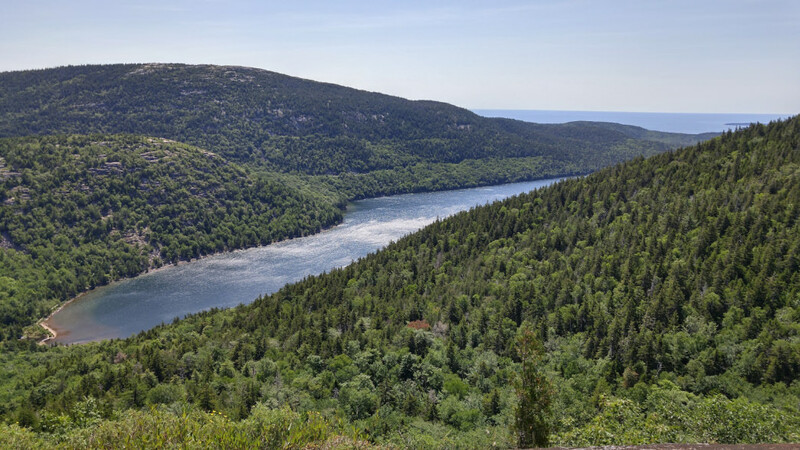 Fees and regulations for Acadia National Park can be found on the website. To reach the Jordan Pond House and the trailhead, turn onto the Park Loop Road which circles the eastern portion of Mount Desert Island, and follow signs for the Jordan Pond House. The Spring Trail is located slightly northwest of the parking lot.